(Columbus, OH) The best drivers, riders, and rising stars of watersports will be in Orlando, Florida on February 8, 2019 as Powerboat Nationals holds its 2018 awards presentation. Powerboat Nationals will be headlining the APBA’s National Meeting in the Sunshine State and will be crowned the Champions of its the three 2018 series. For the second time in three seasons, North Augusta, South Carolina’s Lee Daniel earned the Championship for Powerboat Nationals’ ProTunnel1 (formerly Formula 2) Series. He narrowly edged out rival Mark Jakob in the season finale at the North American Championship in Wausau, Wisconsin. In Powerboat Nationals’ ProTunnel2 (formerly Formula 4) Series, Atlanta, Georgia’s Jason Nelson held a commanding lead in the Championship points all season long. After winning the season’s first three races including the season opener in Knoxville, Tennessee, Nelson maintained a sizeable lead over the rest of the fleet throughout 2018. 2018 was the first season Powerboat Nationals offered jet ski racing with its Hydro-Cross series. The first-ever ProSport (formerly SportGP) Series Champion was Dawsonville, Georgia’s Kyle Hayes. He and veteran-rider Brian O’Rourke battled to the very end with Hayes grabbing the Championship with his event win in Wausau, Wisconsin. The man grabbing the most 2018 hardware is Team Racecraft’s Jake Alkema. The White Lake, Michigan driver earned PT2 Rookie of the Year, Best Dressed Team for PT2, and was chosen by his fellow drivers as the 2018 Powerboat Nationals Sportsman of the Year. Here is a complete list of those being honored by Powerboat Nationals for 2018 in February. 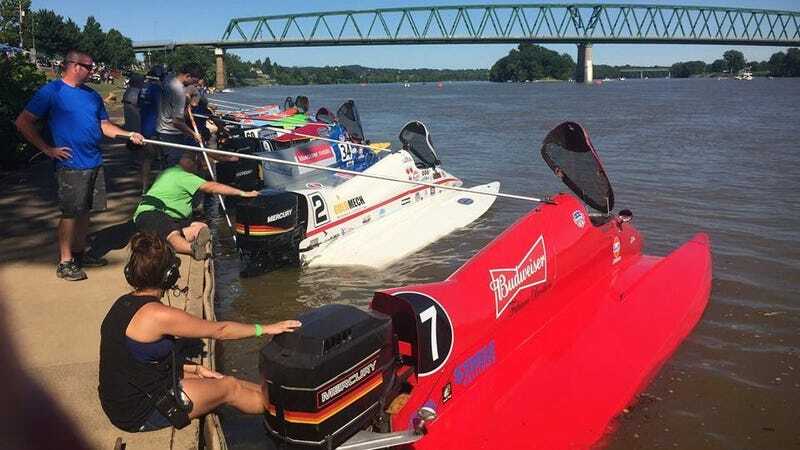 Powerboat Nationals’ teams and officials also voted Marietta, Ohio as their favorite race site for the 2018 season. Parker, Arizona will host the first of Powerboat Nationals’ eleven events on the 2019 schedule as the PT2 series makes its first ever stop west of the Rocky Mountains on March 23-24. Powerboat Nationals will begin the 2019 Hydro-Cross season on May 18-19 in Tavares, Florida while their premiere series, the ProTunnel1 Series, will kick their 2019 season off on June 1 in Knoxville at the Visit Knoxville Grand Prix of Tennessee. Powerboat Nationals is a national touring series that provides world-class tunnel hull powerboat and jet ski/PWC racing on rivers and lakes across North America. For more information, please visit www.powerboatnationals.com.